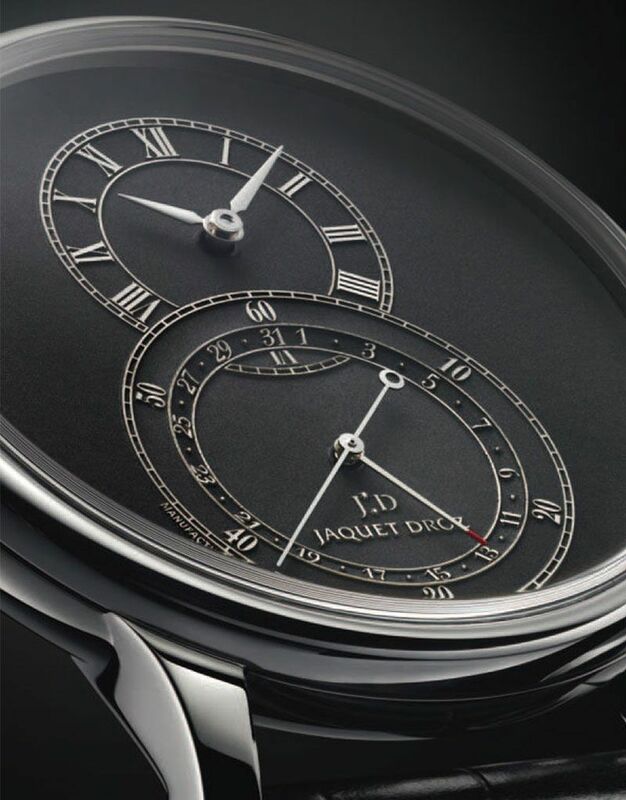 Monochrome’s new contributor, Dr. Watch, dives into the history of Jaquet Droz. Last week we brought you an insight in the early years, this week we’ll take a look at more recent developments. When I dived into the history of Jaquet Droz recently and found the roots of the company date as far back as 1738, I started wondering what happened after 1791. 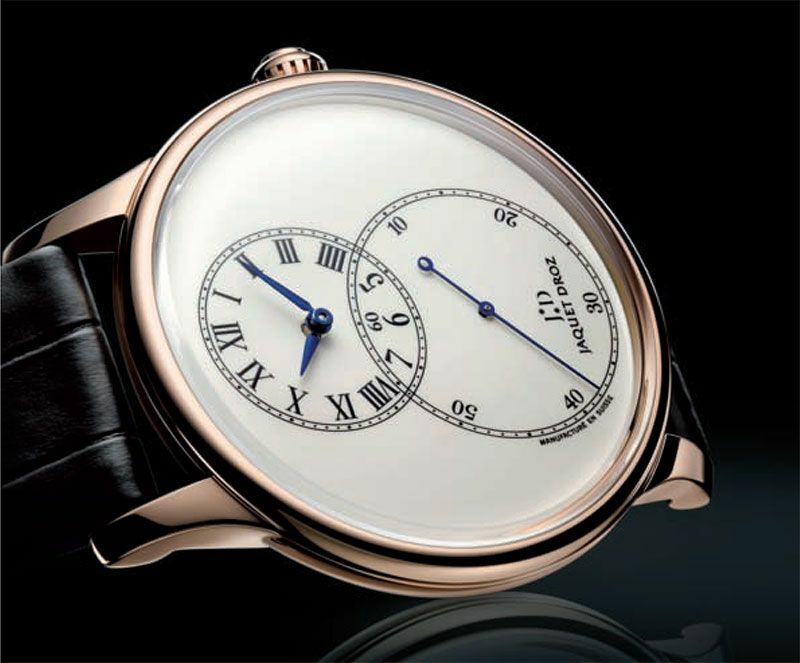 As you might remember, the brand actually fell asleep around that year as both Pierre Jaquet Droz (1721-1790) and his son died shortly after each other. As mentioned, the importance of branding in the 18th century wasn´t comparable to what we see now-a-days, so a company, a brand name, carefully nurtured and built up with half a century of hard work and extensive travelling, could simply cease to exist. After a long hibernation (check the catalogue and website of the brand, it’s silent), there was some activity under the brand’s name again in the second half of the 20th century. 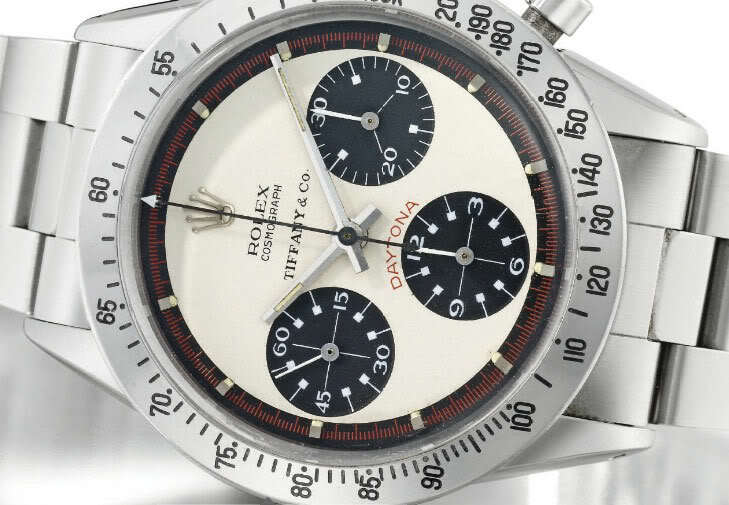 A case-maker, a dial-maker and a supplier of movements joined forces (symbolized in the three lines of the arrow, which was the logo at that time) to revitalize the brand. 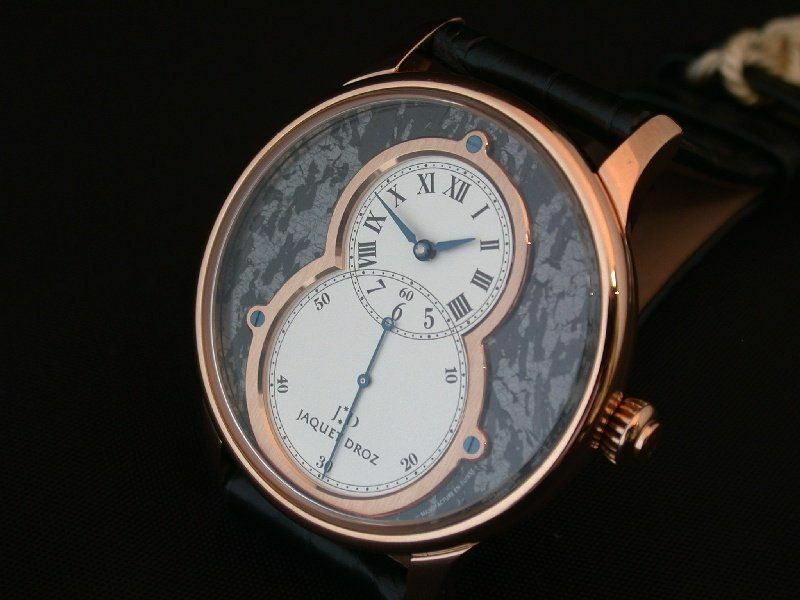 There´s an interesting article about this period with some pictures written by our friends at Fratellowatches. 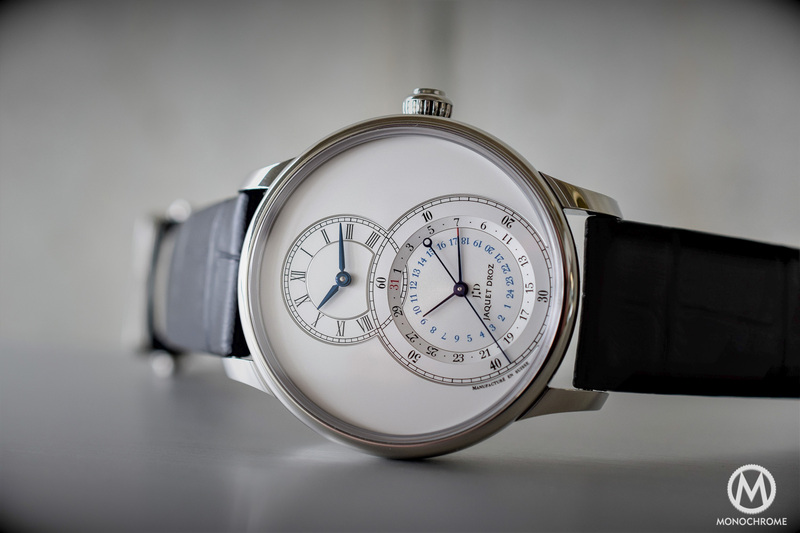 However, even this period in the brand’s history can be summarized both quickly and shortly: it doesn´t have anything to do with Jaquet Droz as we know it today. 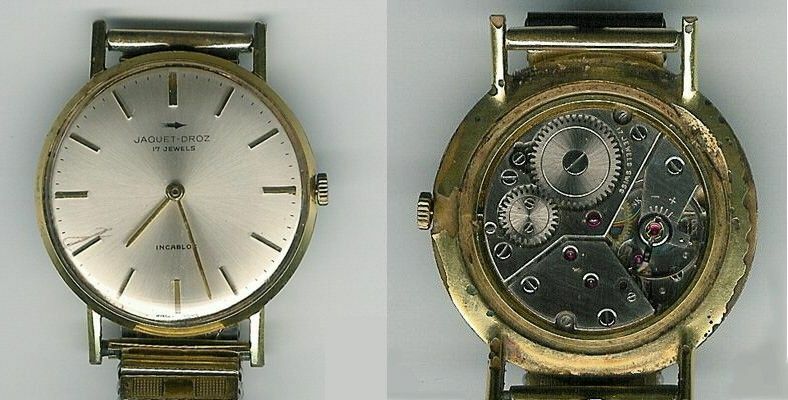 There is simply no stock of the movements that were used in this period of time and also they don’t undertake any service of the watches which were produced in that period. If I´m allowed a small side-step here: it´s interesting to see how brands can be revamped after a dormant period of time. However, I do understand the choice of Jaquet Droz not to link itself to the watches that were produced in the 1960´s and 1970´s. There is no comparison when it comes to quality and finishing, let alone the movements that were used, so the customers of the ´old´ and the ´new´ brand don´t have much alike. A brand that misjudged this, is/was Favre Leuba: this was a popular watch for a broad range of watch fans some years ago, but when the company suddenly relaunched with high-end pieces (hardly any watch under 6K Euro), the search for a new clientele started from scratch. In the meantime the customers of the old collections, happy to finally being able to get their watches serviced again, cluttered the desks of the brand with outdated watches needing service; even though the purchase price of the watch was often below the service charge the company got used to. At their website there are still some beautiful pictures, but the contact address now belongs to a lawyer. We´ll just take another jump in history and arrive at the turn of the century when the Swatch Group bought the brand Jaquet Droz. In 2001 Manuel Emch was appointed CEO of the brand and he developed the product lines that still form the basis of the collection that we know today. The branding went further (with a lot of success in Asia, where the typical 8-shape of the Grande Seconde dial was much appreciated as this is a lucky number in the region) and the company mainly focused on the esthetics of the watch: superb finishing, sensual case shapes and above all the most astonishing dials. 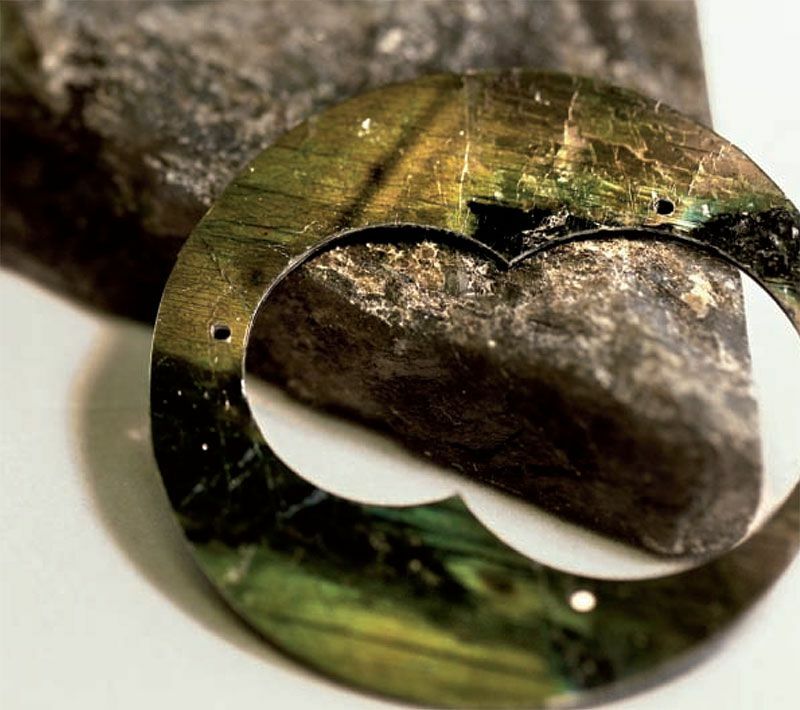 Whether made of petrified woods, rare minerals or ´Grand Feu´ enamel, the face of the watch is always the centre of attention at Jaquet Droz. Maybe this is the link between the experience of Manuel Emch at Jaquet Droz and his responsibilities today at Romain Jerome, where moon dust, remains of the Titanic and parts of the Icelandic volcano are used for the watches. 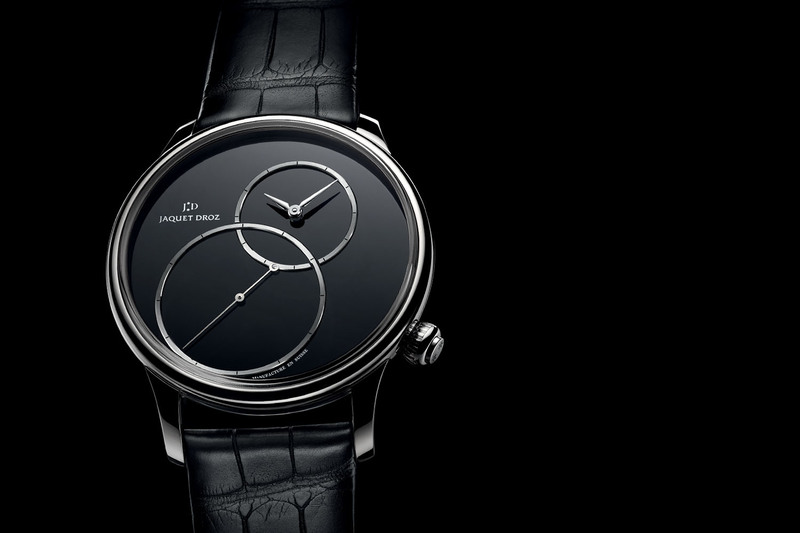 Below is a modern Jaquet Droz Grande Seconde Circled with a stone dial. The history lesson ends with the CEO of today: Marc Hayek. 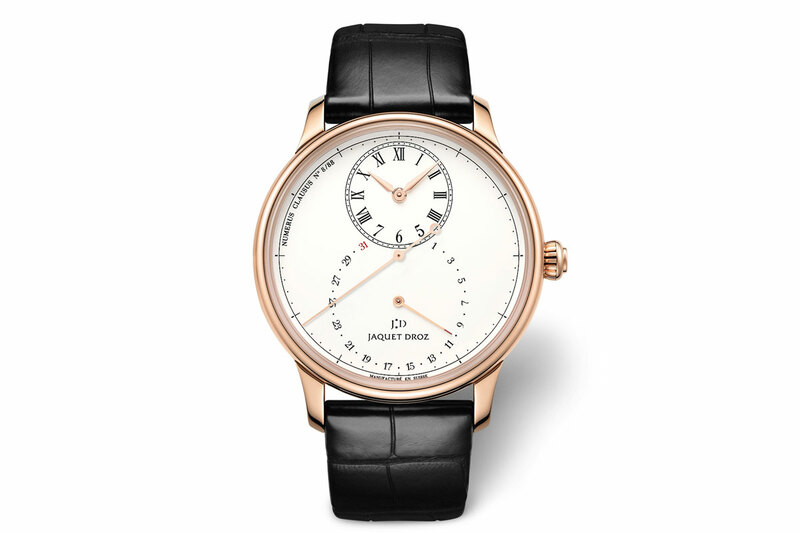 His grandfather took over the helm at Jaquet Droz in 2009 upon the departure of Manuel Emch, but unfortunately died (aged 82) within a year afterwards. Marc Hayek then overtook the responsibility for Jaquet Droz and Breguet, in addition to Blancpain, which he was already managing for years. With this integration the Swatch Group brought together the Swiss prestige brands under one man. I’m very curious to see the developments in the coming years. The new Grande Seconde Quantieme, that was released during this years Baselworld, looks incredibly promising. 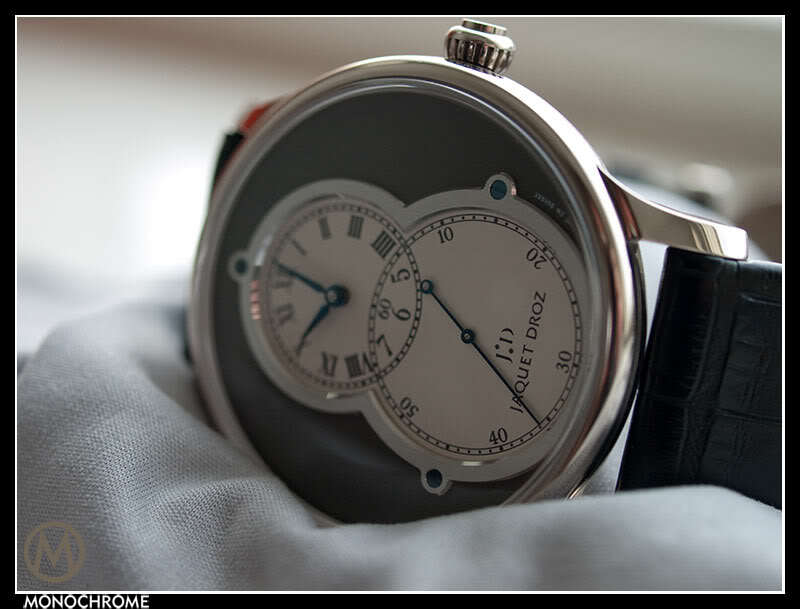 Information about the Jaquet Droz can be found on their website and official Facebook page.